On Monday, we had our monthly 4×4 meeting. Never heard of a 4×4 meeting? Didn’t know that we had those here? Once a month, Dr. Emery schedules these meetings for us to sit together as a team to discuss topics ranging from best practices, specific patient care, teachable moments, etc. Part of that 4×4 meeting is also designated for our monthly book club discussion. November’s book was, BIG MAGIC by Elizabeth Gilbert. (Keep your eyes peeled for a blog about the book!) We turned on the fireplace to settle in and filled our tummies with delicious cinnamon rolls & coffee while having a lively discussion of the book. We saw a patient for KöR whitening. She was ecstatic to get this process going and so are we! We love to see those pearlies turning whiter! This week we did two quadrants of Cerec dentistry. Our patient was a 26 year old male who had clear decay on his x-rays, but after getting under his old fillngs, we realized the decay spread to all of his posterior teeth. We removed the decay, placed onlays and cerec custom fillings on all teeth. The patient was happy we could achieve everything we did in one day. For the long appointment, Dr. Emery ran to Starbucks to grab him a protein shake for lunch while his restorations were being made. He hung out with his blanket, neck pillow and Netflix while the Cerec made beautiful porcelain restorations. We highly recommended Flouridex toothpaste to prevent cavities in the future. We also saw several new patients; two of which decided to enhance their smiles by scheduling veneer appointments. This is exciting for Dr. Emery, because she absolutely LOVES to complete smile makeovers for patients! Obviously, it’s a thrilling time for the patient as well, as their smiles are turned into something they never thought possible! Usually when a patient is completely finished with their smile makeover, the entire office is celebrating (and crying tears of happiness) because the patient’s smile is so amazing & life-changing. What a thrill! 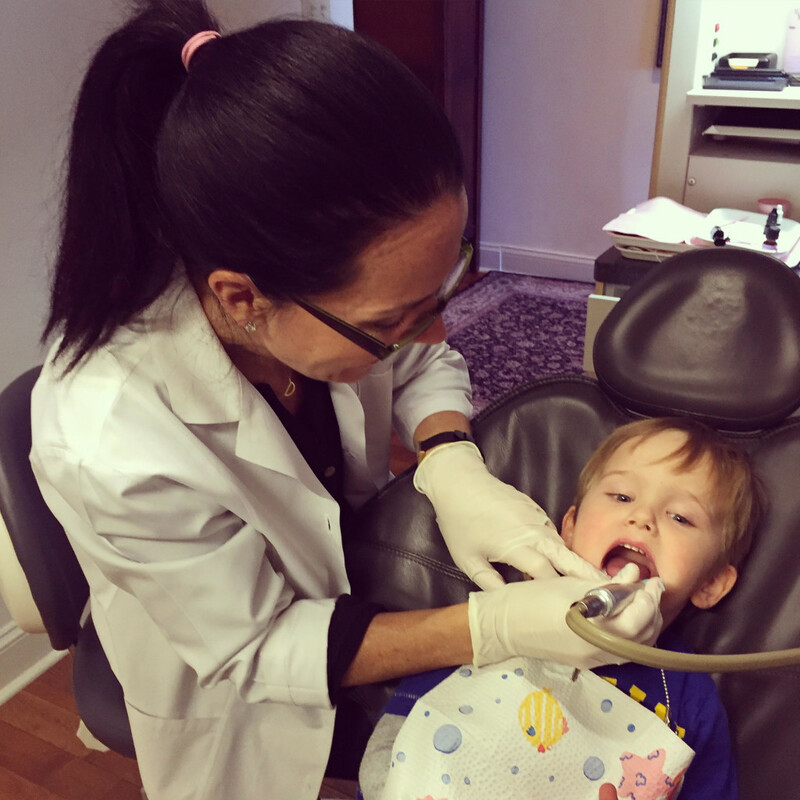 This week, Dr. Emery also performed a cleaning on her son, Blake! She loves to work on children, including her own! Thursday evening we went to a dental marketing presentation at DIRTT in Chicago. It was great and we enjoyed learning about the top trends in dental marketing. Our last case of the week was a patient who had trauma to a front tooth and a bonding veneer placed on the tooth. The composite material was much darker than the rest of her teeth. We recommended veneers on her front two teeth and we cemented them today. The final porcelain veneers looked beautiful and the patient was very happy with the results. She wishes she saw Dr. Emery sooner to get this done! That’s it for this week! Looks like snowfall is imminent…hope you’ve got your snow paraphernalia ready!